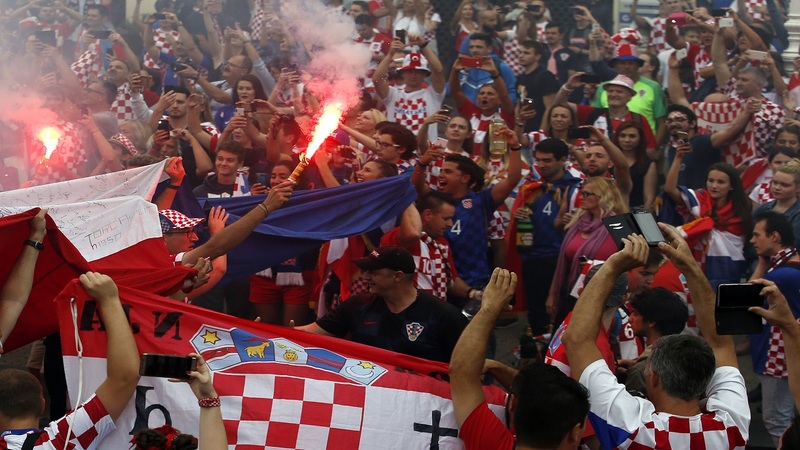 Croatia football fans shout chants and cheer prior to a television broadcast of the Russia 2018 World Cup match between France and Croatia in downtown Zagreb, Croatia, Sunday, July 15, 2018. (AP Photo/Darko Vojinovic). Kylian Mbappe's breakout performances, 11 own goals and very few red cards despite all Neymar's dives. With just one scoreless draw in 63 games so far, Russia's World Cup has been far from dull. By the time France and Denmark delivered a boring 0-0 draw, 35 games had been played with at least one goal scored, breaking a World Cup record that had stood for 64 years. The tournament averaged 2.58 goals per game through the semifinals, second only to Brazil in 2014 for World Cups this century. Teams have scored more goals than usual, but many weren't particularly noteworthy. The 11 own goals are a record — in part because FIFA has stricter guidelines about attributing deflected shots — while the new Video Assistant Referee system led to an increase in the number of penalties awarded to a record 28, 10 more than the previous mark from 2002. Of those, 21 were converted from the spot. 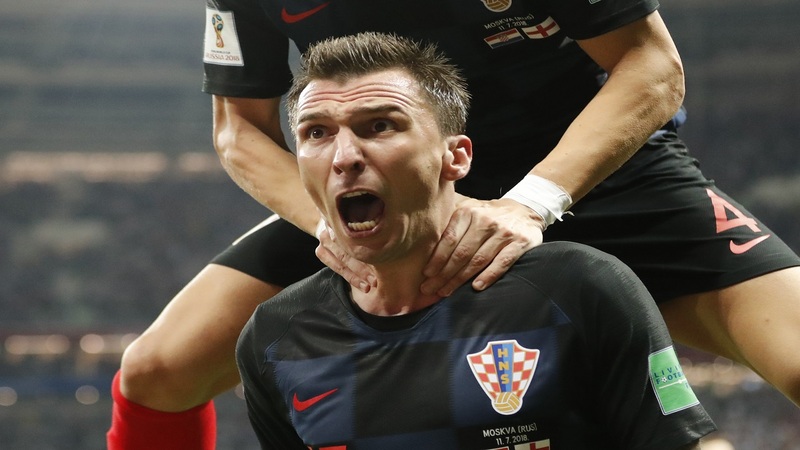 Modern technology has helped the World Cup's more modest teams pick the right tactics to frustrate top-class opponents, but there have still been some outstanding goals. Denis Cheryshev's curling shot for Russia against Croatia and Benjamin Pavard's swerving strike for France against Argentina are among the highlights. 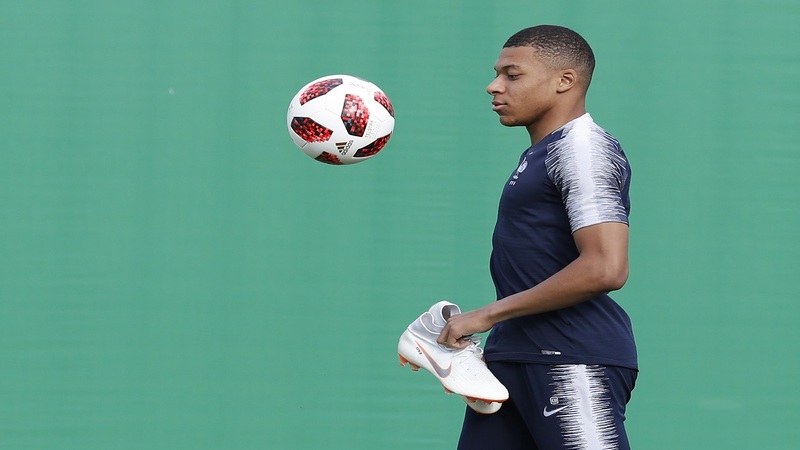 Young stars have made a mark, none more than France's 19-year-old Kylian Mbappe, who became the youngest player to score two goals in a World Cup game since Pele in 1958. Aging players have set records, too. Goalkeeper Essam El Hadary became the oldest player ever start in a World Cup game when he lined up in Egypt's last match against Saudi Arabia aged 45. Mexico veteran Rafael Marquez became the first player picked in a starting 11 at five World Cups. 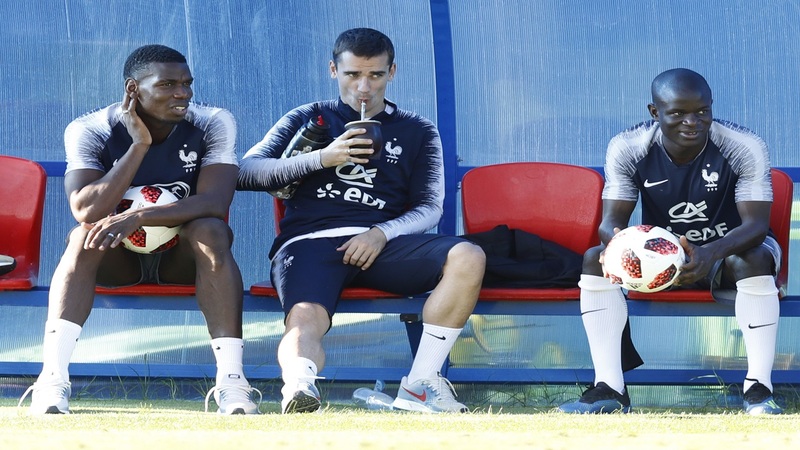 That added up to 360 minutes of football in the knockout stages, the equivalent of a full game more than France, which also had an extra day to rest for the final. Perhaps with one eye on the VAR system, players didn't break the rules so much, but they've certainly been bending them. There hasn't been a single red card for violent conduct, and just four ejections in total. If it stays that way in the last two games, it'll be the lowest number at the World Cup for 40 years. Compare that with 2006, when 28 reds were issued including four in one game when Portugal beat the Netherlands. However, there have been plenty of cases of players mobbing referees, wasting time and writhing in exaggerated agony. Swiss broadcaster RTS calculated Neymar spent nearly 14 minutes on the ground in Brazil's first four games.